Shelton, Mindel and Associates. 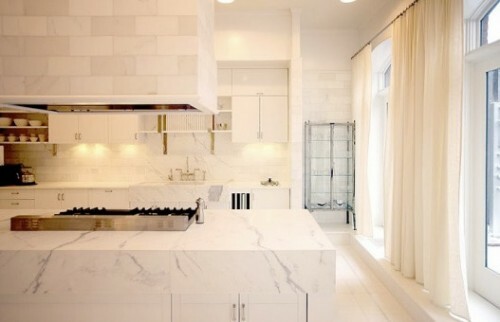 I love this mix of calacatta marble, the white oak banquette and vintage jean prouve stools. 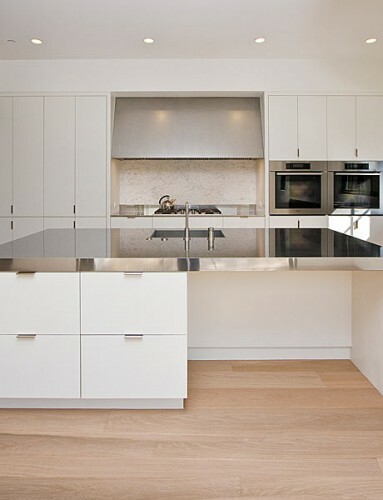 This minimalist kitchen is by Bruce T. Bananto from Elle Decor January 2010. 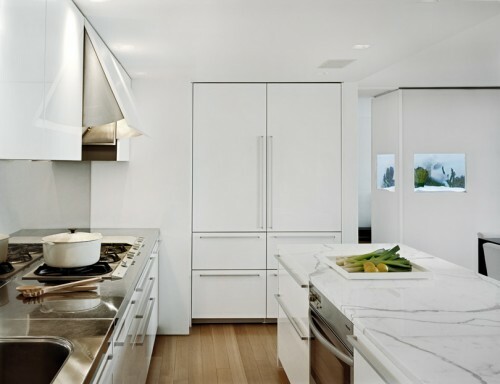 The kitchen cabinetry is Verenna Poliform and the counters are CaesarStone with a Sub-Zero fridge. Gorgeous kitchen by West Chin Architects. I love this mix of the undulating calacatta marble, warm oak floors, matte lacquer cabinetry and stainless steel counters. 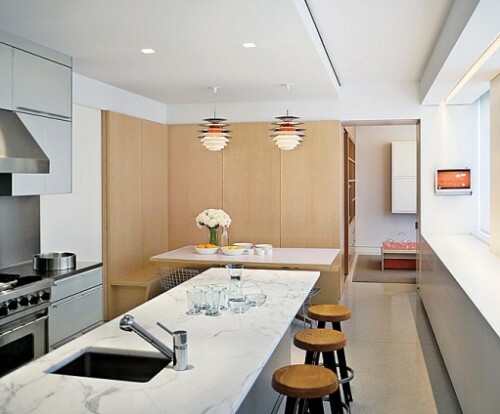 Gwenyth Paltrow’s brilliant kitchen from Vogue. I love the exaggerated counter profile. She is just so chic, period. Photographed by Mario Testino. OMG!! These are simply beautiful.